The green parts of the leek doesn't get enough love. 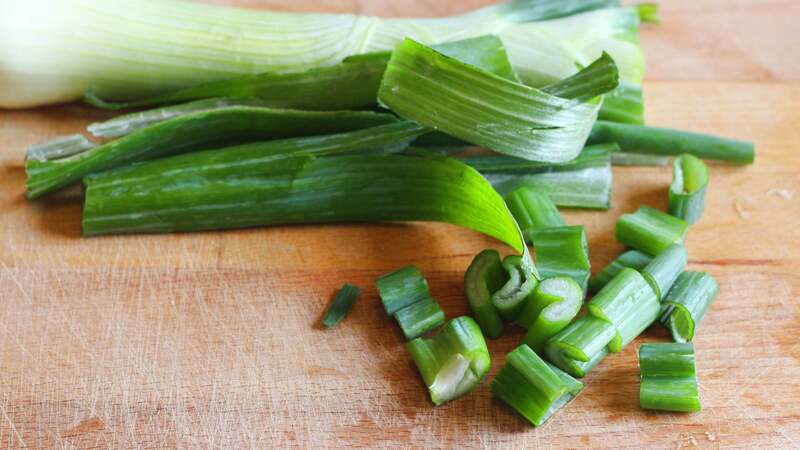 Almost every leek-containing recipe tells you that you don't need them, that they're too tough, and unworthy of you. This is all false. Though they are a bit tougher than their white counterparts, they have a lot of flavour within those hard-to-break-down cellular walls, and they make an eggscellent breakfast accessory. Despite their tough reputation, leek greens soften quite readily if your oil is hot enough. I like to fry some bacon and, while the grease is still hot, toss in a handful of the chopped greens. They will brighten in colour, then start to darken on the edges, and this is when you want to remove them. (Any further and they get bitter.) Take the pan off the heat, and quickly scramble some eggs in the still-hot, now leek-scented bacon grease. Pile it all on a plate, leeks last, and enjoy how the leek greens provide a savoury, oniony, but still fresh note to a rich, bacony breakfast. 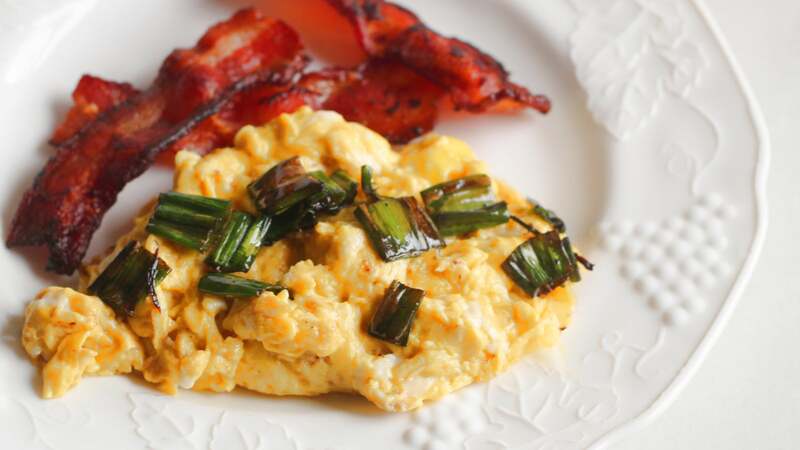 Of course, you don't have to cook them in bacon grease - any hot oil will do - and you don't have to pile these crispy green bits on top of eggs; they're also good on salads, roasted meats, pastas, rice bowls, or anything else alliums pair well with.